What Are You Eating? Or, Whose Food Are You? 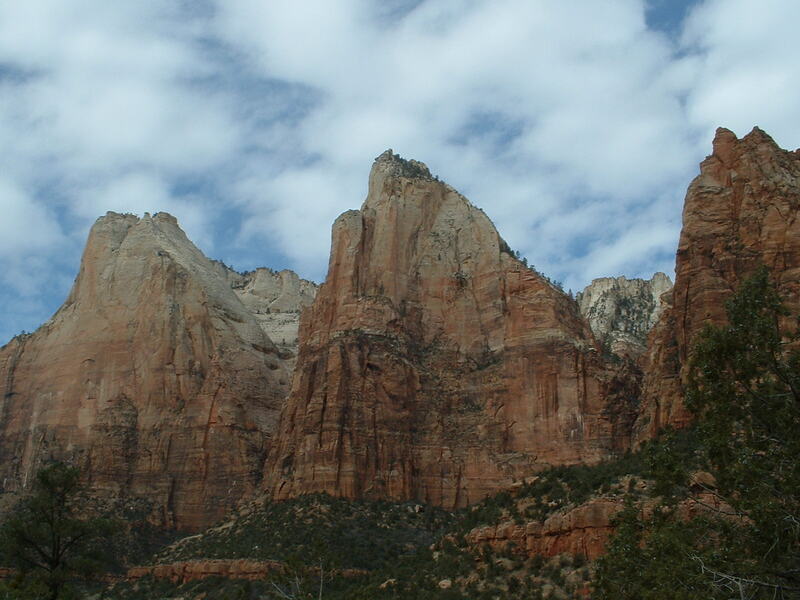 The picture is of three prominent peaks in Zion National Park. Originally named by a methodist minister and explorer, they are called the three patriarchs: Abraham, Isaac and Jacob. Thank you in advance. Grateful to you & the Lord for your blog. I am certainly one for whom distractions pose no small barrier to success, academically and spiritually. Achieving humility, putting my ever-present pride in its proper place is my daily struggle. It is one thing to say my soul purpose is to do God’s will and quite another thing get myself out of the way. Emotions and the passions are not exactly synonymous. Some, like anger, have components that are among the passions. The emotions are just part of us like almost everything else. The passions, at least as written about in the fathers, refer to disordered matters (I would call them “energies” if this is not confused with something else). Our emotions are frequently as disordered as is our minds and the rest of us, and in need of healing. The freedom or healing of the passions is not about getting rid of emotions, but putting things in right order with ourselves and with God. Imagine a human being without emotions. It would be a cyborg, or some caricature. Wholeness necessarily involves whole emotions. It’s just that we don’t often get to see them in their proper context. That helps my understanding. Thanks again. Father, this is off topic, but I ask prayers for Serbian Christians whose future appears very dark in Kosovo. I’ve been wondering about this kind of thing lately a lot: Where does leisure fit in to a Christian’s life? Sometimes I dream about lazing away an afternoon in the sun with the New York Times Book Review, which of course would then put a desire for more reading in my mind., most of it leisure, I would say. What about the so-called “voracious reader,” I like Father Stephen’s encouragement recently (in comments somewhere) to pray more than I read (in reference to spiritual reading at the time), but how much room is there for reading for pleasure and other leisure activities? Probably impossible to answer, but it’s on my mind so I thought I’d throw it out there. You should have fun or you’ll go crazy. One Orthodox theologian has said that “Orthodoxy is the absence of one-sidedness.” If you have no fun, you’ll be too one-sided. Enjoy. Thanks Fr Stephen. That’s simple yet liberating advice. I can think these things through too much and I have to have a reminder like yours every year or so.